Why would they name it after that song from Oklahoma? 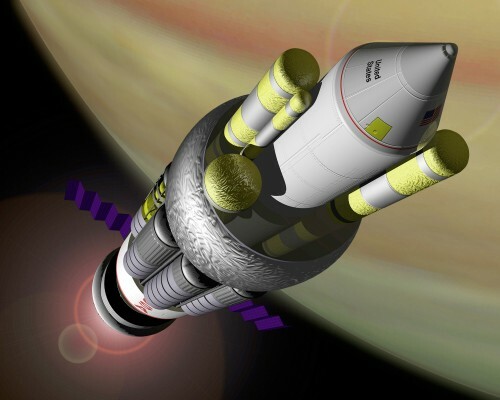 It would have to be built in orbit; and it would probably leave orbit under conventional thrusters. Only once it was a safe distance from the planet would it light off the first nuke. Launching with conventional thrusters would defeat the point. The idea was to actually uses nuclear impulse to launch. Read George Dyson’s (Freeman’s son) book ‘Project Orion: The Atomic Spaceship 1957 – 1965’ for a fascinating overview of the entire project.